If you have poor or mediocre credit, getting a loan is much easier than getting a lease. Metairie, LA, dealers will be more lenient with your credit score when you want to buy a vehicle. Also, if you buy a vehicle, you will eventually pay off your loan, which means you should get some years out of your car while not making a monthly payment. Also, with a loan, you don’t have mileage restrictions, and you can modify your vehicle if you wish. If you ask, “What kind of payments will I have if I buy from an INFINITI dealership near me?” you may not like the answer as much as if you were to lease. You’ll pay more each month on your auto loan than you would for a lease. Also, your car will eventually fall out of warranty coverage, so if you hang onto it for the long term, you’ll have to start paying for repairs. How do lower payments for a better car sound? It can happen to you when you lease. You will also pay less for taxes and registration fees when you lease. Also, the best dealerships in and around Metairie, LA, will pay for your oil changes and other services. Leasing also enables you to return your vehicle at the end of the lease without worrying about trade-in values or selling it. If you think you’ll drive a lot, don’t decide, “I’m going to lease from an INFINITI dealership near me.” Dealers will put a limit on how many miles you can drive in a year. If you exceed this amount, you’ll have to pay a penalty. Leasing also requires excellent credit. When you ask, “Should I buy or lease when I go to an INFINITI dealership near me in Metairie, LA?” keep these factors in mind. 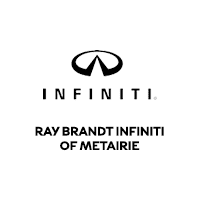 Come to Ray Brandt INFINITI for great offers and selection.